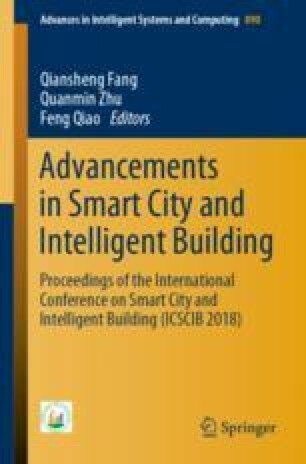 This paper introduces Insect Intelligent Building (I2B), a new architecture of building control systems based on Internet of Things (IoT). It has the following key features that are missing in the traditional solutions: (1) it has built-in agent models for space units and control devices; (2) it has built-in link models for immediate connections between space units and control devices; (3) it assigns a smart controller (called insect) for each space unit or each control device with six data ports (called legs) and these controllers communicate with each other only through their data ports according to the link models; (4) it decompose various building operation/management commands into computing tasks that run on smart controllers and depends on the collaborations among neighboring controllers to achieve the desired effects of the commands. Different from the traditional centralized solutions, this new architecture allows the building control systems to be developed in before the buildings are really built and simplify the installation and configuration of the building control systems. We appreciate the advice of Prof. Yi Jiang from Tsinghua University, Beijing, China, during the procedure in developing the proposed architecture and a lot of discussions with Prof. Qiansheng Fang from Anhui Jianzhu University, Hefei, China, Jilin Zhang from Dalian University of Technology, Dalian, China and Jianchun Xing from The Army Engineering University of PLA, Nanjing, China and insightful comments from Prof. Zhenya Zhang from Anhui Jianzhu University, Hefei, China, Xi Cheng from Tsinghua University, Beijing, China, Li Xia from Tsinghua University, Beijing, China, Tianyi Zhao from Dalian University of Technology, Dalian, China, Qiliang Yang from The Army Engineering University of PLA, Nanjing, China and Dr. Yunchuang Dai from Tsinghua University, Beijing, China. We also appreciate constructive comments from the anonymous reviewers.